"Our consumers are real women with real careers, who, like Barbie, range from computer engineers to surgeons and everything in between. We recognize the limitless potential of every woman to create her own universe and fully express herself in whatever ways are unique to her." 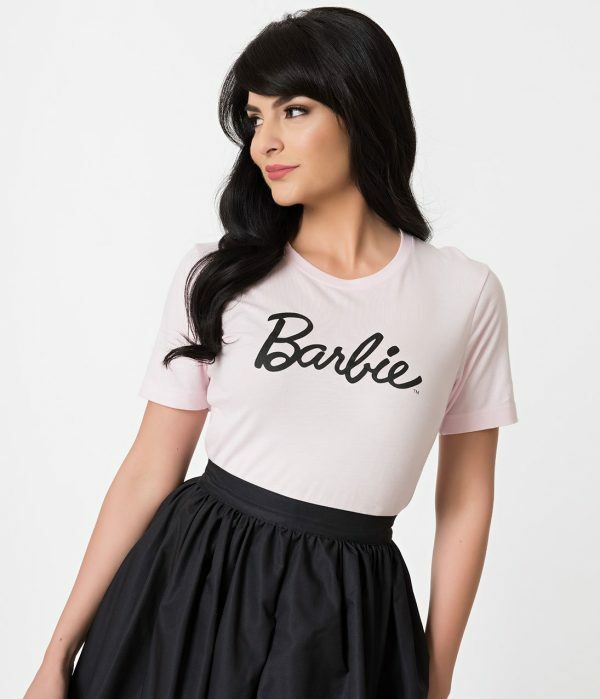 Prices of the Barbie x Unique Vintage collection range from $6 to $228 with free shipping for orders over $150. Shop some of our favorite products from the collection below and fantasize about rocking these retro looks in a hot pink convertible. Serve Life Size realness in this stunning strapless number. Cruise Malibu and make it a beach day in this whimsical bathing suit. 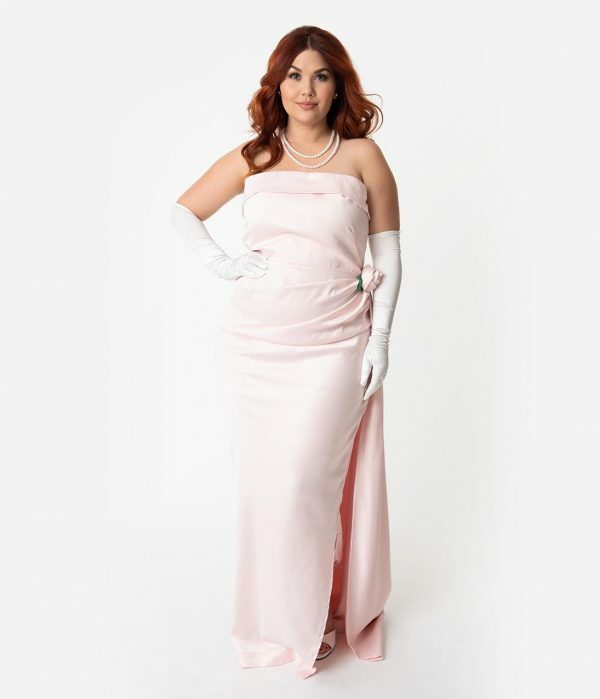 Attend a charity function or gala in this pastel pink ensemble. Keep it classic in this Barbie light pink tee. Shop the rest of the Barbie x Unique Vintage collection here.